If you look into Complementary and Alternative medicine for long, you may run across something that almost defies Science. Homeopathy dilutes a remedy down to where science tells us there is nothing left. However, many of these homeopathic remedies still work. Skeptics tell us that it's the placebo effect and only that. However, science also denied the existence of the Higgs-Boson particle (previously referred to as the theoretical “God particle”) until it was finally discovered in 2012. Just because science is not currently able to validate the effects of homeopathy, does not mean that they are not real. However, homeopathy is not what I wanted to introduce you all to today. I want to discuss flower essences. In 1928, a British homeopathic doctor named Edward Bach noted that the homeopathic remedies he made with flowers had extremely promising effects on his patients. Thus began his in-depth research and eventual development of the 38 Bach flower remedies. After several years practicing orthodox medicine, specializing in bacteriology and immunology, followed by ten years of practicing homeopathy, Dr Bach had developed a new approach to illness. He was frustrated by orthodox medicine's concentration on the disease as opposed to the patient, and changed his focus. He developed the idea that our emotional states had a major influence on our susceptibility to disease. An idea, that orthodox medicine is just beginning to explore today. The flower remedies he developed work on that concept, helping to change the emotional reactions to disease as well as correct emotional problems that may lead up to disease. Looking at the modern world, especially here in America, one cannot help but see a major shift in emotional distress. Anxiety, depression, severe mood changes, and many other emotional effects have begun to plague society. A good portion of that, most likely, has to do with our lifestyles today. We spend more time inside at a desk and less time outside and/or exercising. We have to deal with things such as traffic, which can be horribly stressful, on a daily basis. We don't have time to decompress and we have lost the knowledge of how to do so in the first place. All of this puts major stress on our adrenal glands, which control the fight-or-flight response, so that we are running at a constant level of extreme stress. However, we can help reduce all of our responses to this heightened state by using relaxation techniques, eating right, exercising, and using flower essences. 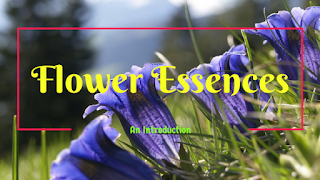 You're probably wondering about the effects of flower essences when you are taking medication. One of the reasons I usually recommend flower essences is that they do not interact with drugs. This is the real beauty of Dr Bach's dilution techniques. The essences are diluted down so much that you don't have to worry about side effects, or drug interactions, while still being able to reap the benefits of the remedy. And the benefits are so apparent that some of the calming effects can be seen immediately. Rescue Remedy is the only formula of essences left to us by Dr Bach, and animal rescuers across America use it to calm down their rescues. There are even several EMTs that carry Rescue Remedy with them to help calm down accident victims. I have even recommended it to several people who I know that experience anxiety attacks, and they all say it works better than anything else they've ever tried. Though Dr Bach only left us with 38 remedies, and one formula, there are researchers all over the world who are diligently studying flowers and how they interact with us. There are a good number of essences, developed by these researchers, from all over, including a good number from native American plants. Even though science cannot currently validate the use of flower essences, I hope you see the value of them. How they're able to help without negative side effects and interactions. How they help minimize our susceptibility to disease by working on our emotional state. And how they help speed our recovery by effecting our emotional reactions to disease. 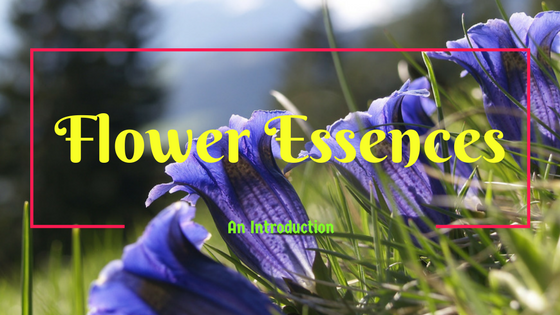 Flower essences are an essential part of my personal healing, and are so effective that I recommend them to everyone I know.